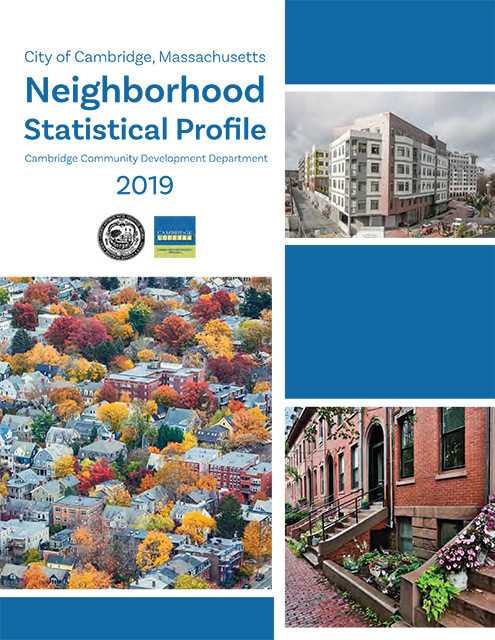 The Community Development Department has released an updated Neighborhood Statistical Profile, which provides a statistical snapshot for each of Cambridge's thirteen neighborhoods as well as the city as a whole. The Profile is intended to inform the community of -- and pay homage to -- the distinctive characteristics of each neighborhood. In addition to updated data, the 2019 Profile includes a new diversity index, which provides an overall measure of neighborhood diversity. The data is drawn from several sources including the 2010 to 2017 American Community Survey, the 2010 Decennial Census, Community Development Department analysis of building and parcel data, and BikeScore, TransitScore, and WalkScore.